Back to the photos of the Citroens, right-hand drive indicates these were built in Slough (the UK factory opened in 1926) and were sold in the UK as the 11.4hp model. No success with the last one, how's about this - a Morris presumably. Does the size of the headlamps suggest one of the larger-engined versions? the trims on the side of the bonnet are throwing me a little. There is a note on here that series 3 big Sixes had painted cowls and this picture shows the 3 heavier vertical strips. Goodness the subtlety of design differentiation! and may I suggest a foreign location ? 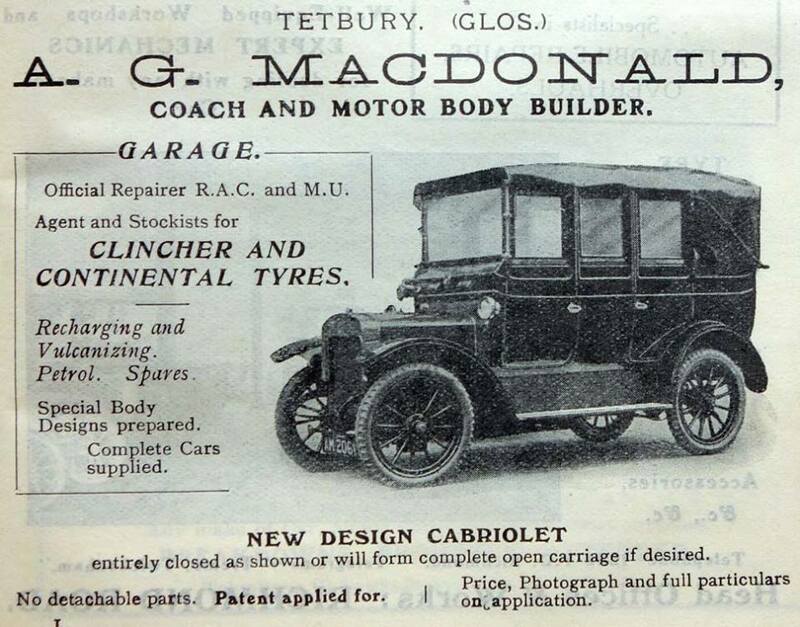 I used to live in Tetbury for many years but never realised it had a a coach builder. It is not mentioned in Georggano's The Beaulieu Encyclopedia of the Automobile - Coachbuilding. Interested what make of car it may be. Is there a Model T hiding under that new body and grille? I used to live in Tetbury for many years but never realised it had a a coach builder. Manny small towns would have had coach/wagon builders in the horse drawn days, and many of them would have had a go at powered vehicles when they came in. Just as a lot of cycle makers moved into m/cycles and cars. Not knowing about one in your own town is not necessarily surprising, it is like the fact that many of us don't visit our local tourist attractions. Lets try one on Ashley if he reads this. 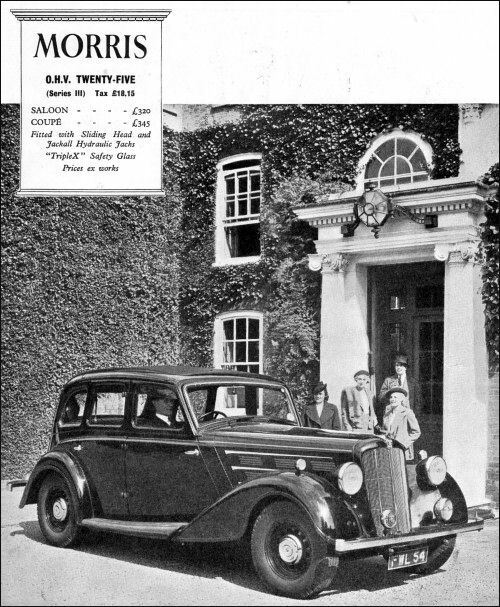 What was the car manufacturer that was based in Dudbridge, Stroud from 1918/19 till 1933? 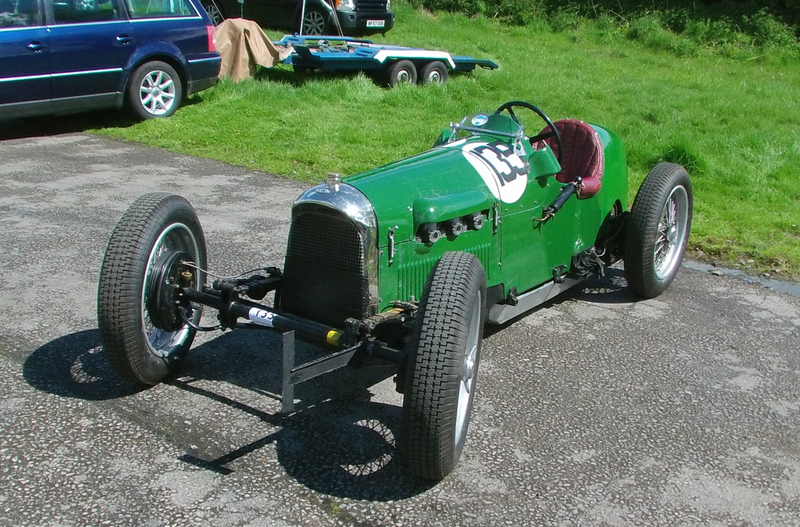 The Macdonald car could be an Austin 18/24 circa 1910... although I'm not convinced. Definitely not a Model T Ford, though, which had a transverse front spring and therefore no chassis dumb-irons. Is this one a Chrysler? The tear shaped headlamps and radiator surround tend to indicate a 1926 (?) Chrysler. The hub caps look Chrysler, as do the front mudguards, but the radiator cap should be a viking helmet. Yes Keith, it is a Chrysler model 60. I would agree with 1926.